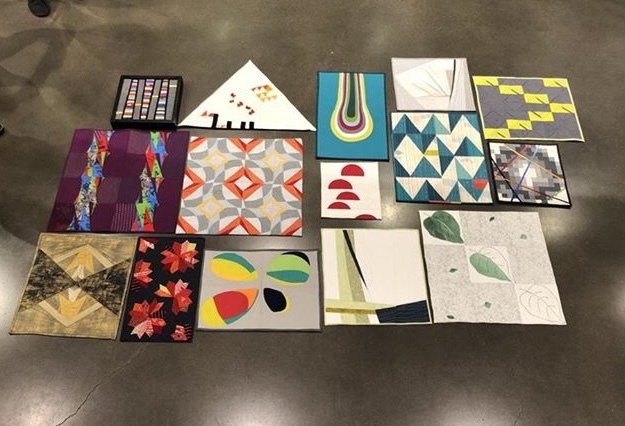 This month we were delighted to share the results of our Design Challenge Mini-Quilt Swap! Thank you to all the talented quilters who participated, and thank you Julie for spearheading the challenge. Thanks also to Rebecca and Lauren from the Boulder MQG, who shared their exciting Block of the Month challenge. More good news! 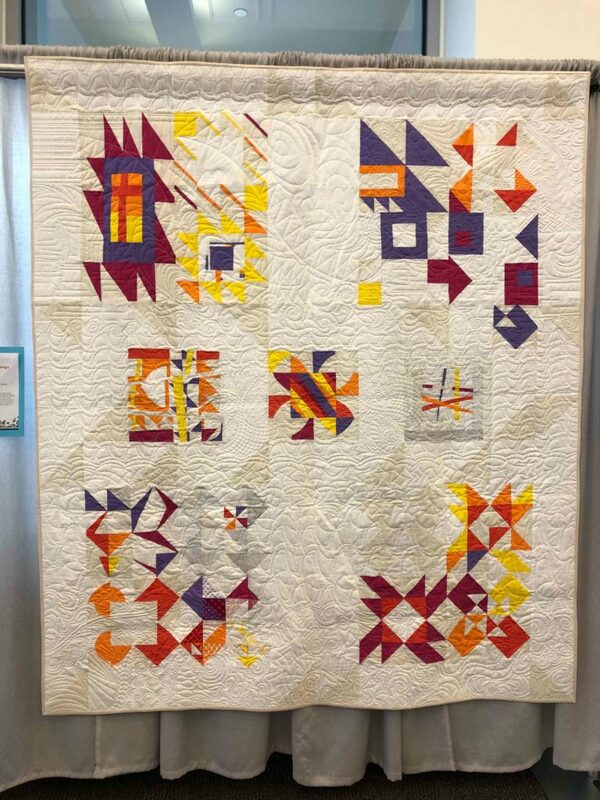 Our 2018 Charity Challenge quilt “Enigma Variations” was displayed this year at QuiltCon. 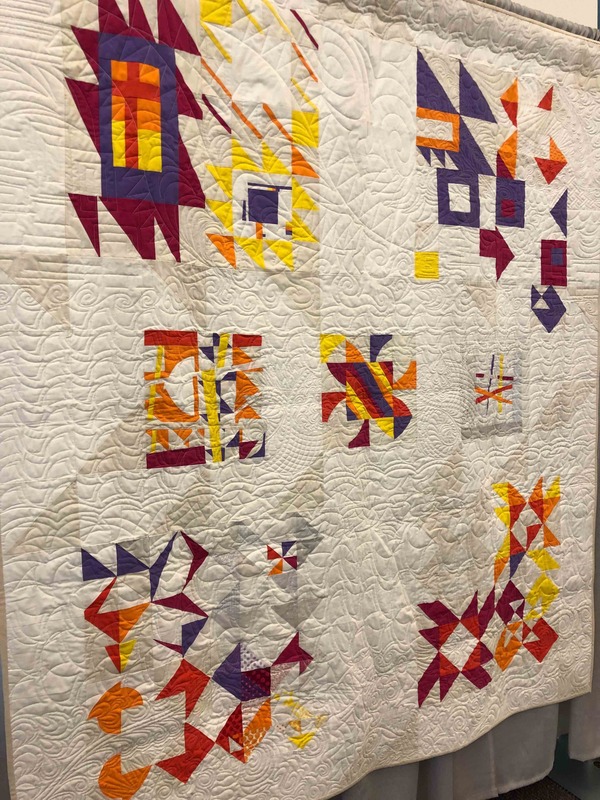 Thank you to all the contributors, especially to Amy Wade for her beautiful quilting. We met on March 12th at Echo Park with 17 members and 3 guests attending.